We regret to inform this product is presently not available for ordering. 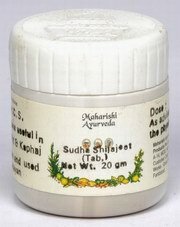 You may kindly use Shilajit Capsules (30 Capsules) by Dehlvi Naturals in it's place. You can browse similar products or consult our Vaidya for a personalised recommendation. Highly useful in Vata, Pitta & Kapha disorders and used as a Rasayan.